You have just created a new app and now you want to have a reload task that runs just after the QVD’s have been populated. But which reload task takes care of that? Hmm, maybe you should have listed all tasks in a hierarchical overview with their dependencies. 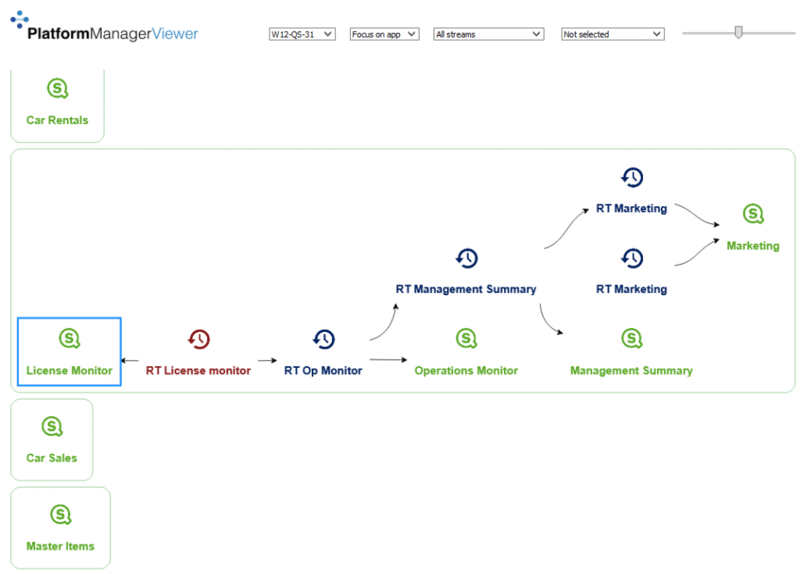 No worries, PlatformManager Viewer will visualize your Qlik Sense apps and all Reload tasks. Now you can easily how they are related. Ever had to find the task that’s reloading your Qlik Sense app? How long did that take you? PlatformManager Viewer directly connects to your Qlik Sense server and visualizes all Qlik Sense apps that have Reload tasks attached. Also looking for ways to publish tasks to other Qlik Sense Servers? Look what our PlatformManager solution has to offer. Want to try how it works? Download, install and send us your feedback!